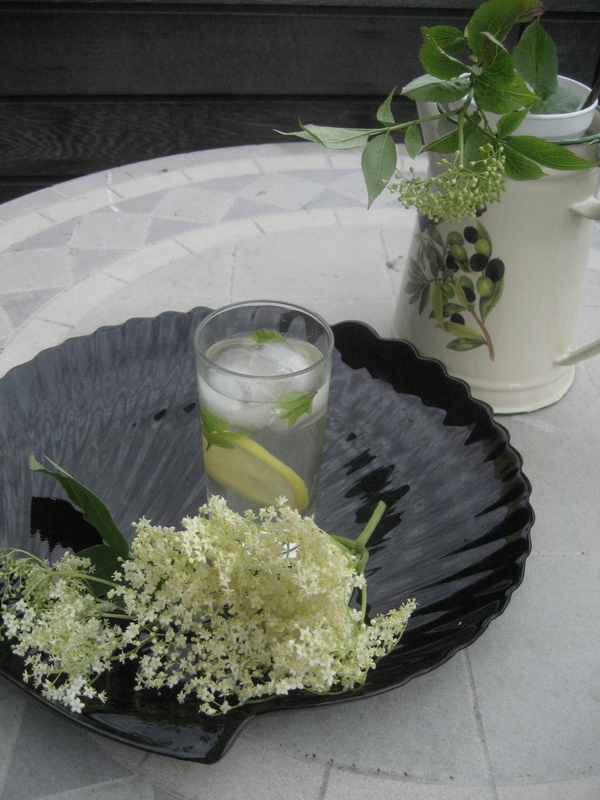 Summer is here and I am making the elderflower cordial I have made for many years now. This year I am going to try out agave nectar instead of sugar- it is sweeter but has less calories. I got these flowers from an abandoned garage near my house and also some from the park. Before foraging any edible plants, leaves, fruits or flowers, it is best to have a check to see what you are doing is legal or not. In the UK, many parks and wild areas have plenty of material for foraging but you might be damaging the biodiversity of the area by overpicking. For instance, many people were prosecuted for picking mushrooms from the Royal parks. Picking mushrooms by bagfuls would destroy the natural flora of the area. So do not pick from any protected areas such as Royal parks, area of scenic beauty or those with fragile or seasonal flora (Dungeness beach comes to mind). Always check notices to see if foraging is allowed- local bye laws which prohibits foraging can be passed by councils, the National Trust and government conservation agencies such as Natural England, Scottish Natural Heritage and the Countryside Council for Wales. The second is if you are foraging for yourself, that is fine. But commercial activity, i.e. selling what you get out of foraging is not permitted. The Theft Act 1968, for England and Wales, states that: ‘A person who picks mushrooms growing wild on any land, or who picks flowers, fruit or foliage from a plant growing wild on any land, does not (although not in possession of the land) steal what he picks, unless he does it for reward or for sale or other commercial purpose.’ And the Scottish Outdoor Access Code allows foraging, but again, not for commercial use. My one small bag of flowers for my own use is allowed from the park I got the elderflowers from. You should never pick all there is, you should always leave plenty for others to enjoy – including wildlife. Third, you can’t pick someone’s overhanging branch that might be on the street or even over your garden fence. Nearby this tree were some other elderflower trees with lovely blossoms. I was lucky that the owner happened to be there and I asked permission to get the flowers. It all sounds simple really and part of good manners- only take for yourself, leave for others and always ask permission. Categories: Animals, beauty, benefit, community, elderflowers, engagement, environment, flowers, foraging, growing, landscape, making, natural, organic, outdoors, seasonal, urban | Tags: beauty, beneficial, community gardens, foraging, free, gardening, gardens, parks, trees, urban, wild, wildflowers | Permalink. I did a taste test between dried and frozen elderflowers. In samples tasted by four people who didn’t know which one was which, all concluded that the dried elderflower worked the best for tea. So next year, more dried elderflower tea (the good thing is it doesn’t need any kind of sweetener- it is lovely as it is) and has many health benefits. Elderflower is rich in bioflavonoids, mostly flavones and flavonols. The most abundant flavonols in elderflower are quercetin, isoquercitrin and anthocyanins, which have antiviral properties as well. Elderflower also contains chlorogenic acids, such as cinnamic acid, which may help with allergies, regulate blood glucose levels and have a laxative effect on the body (so take in moderation!). Triterpenoids, especially β-amyrin, erythrodiol, and oleanolic acid, are also found in elderflower. These triterpenoids offer a variety of health benefits including analgesic, anti-inflammatory and anti-cancer effects. Categories: container gardening, elderflowers, recipe | Tags: concrete patio, container gardening, elderflower, health benefits, pots, tea | Permalink. 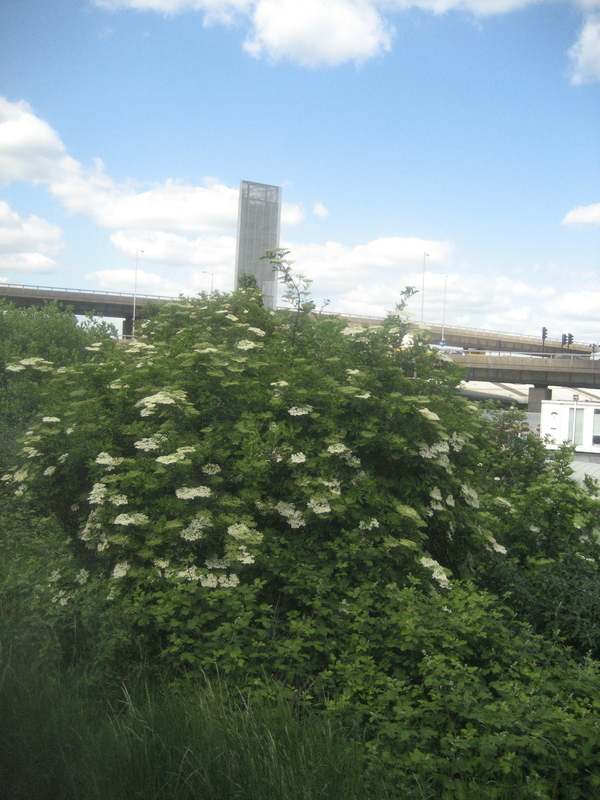 Elderflower shrubs and trees start flowering mid May- this year, the errant summer has made this a bit later. These grow wild almost everywhere and also in parks. 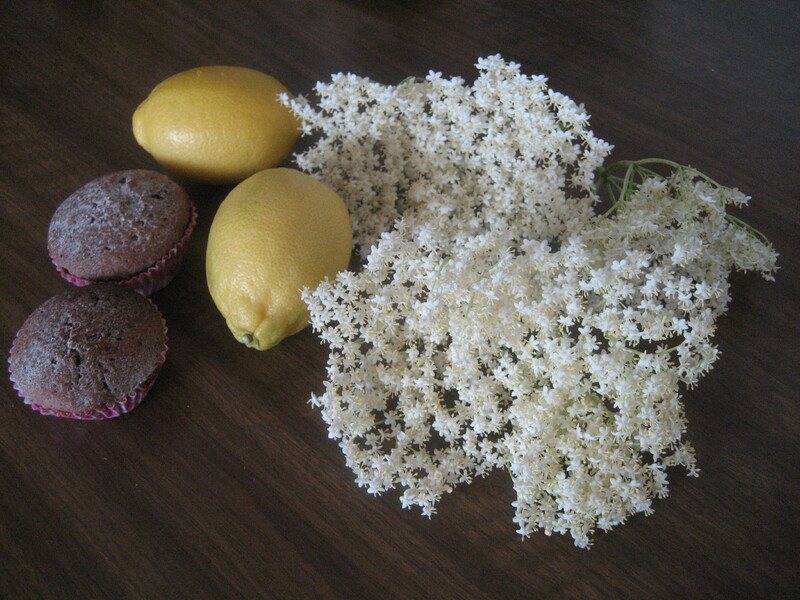 Its funny since I have become aware of elderflowers, I now find them everywhere. The photo above shows one next to a railway line. I choose flowers in full bloom, clipped during midday sun and from places sheltered from traffic fumes and other pollutants because you should not wash them before use. Be careful where you get them from and do it safely. I do not clip flowers from people’s gardens unless given permission to do so. Also, remember to shake out or cut out the masses of black bugs you may find before using them. These year, I have found masses of elderflowers so have frozen two bag-fulls as it is best to use them fresh. There are many recipes out on the internet on how to make elderflower cordial, so I won’t give any here. 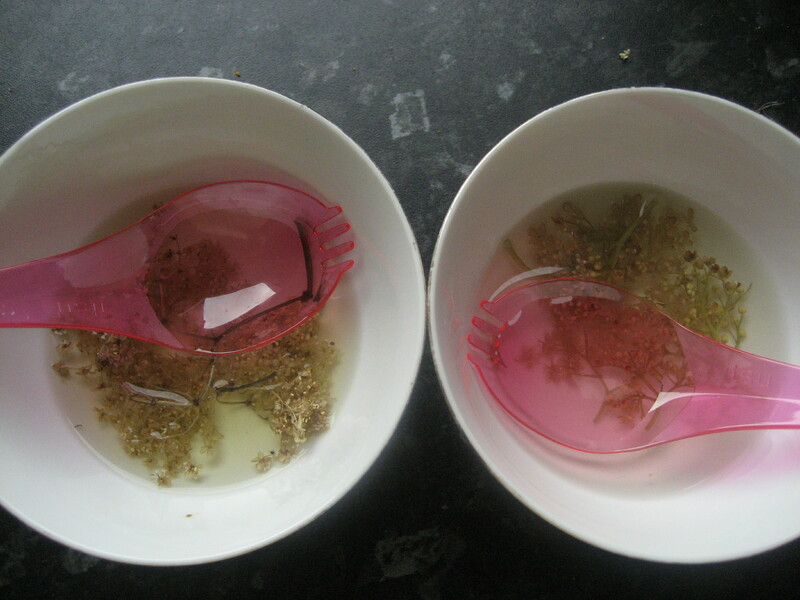 Over the years, I have experimented with less sugar, cutting out on citric acid, using more flower heads, using frozen elderflower cordial, frozen flowers and using the leftovers (all with great success). You have also do this. But here are some things which I have discovered through experimentation I thought might be useful to share. 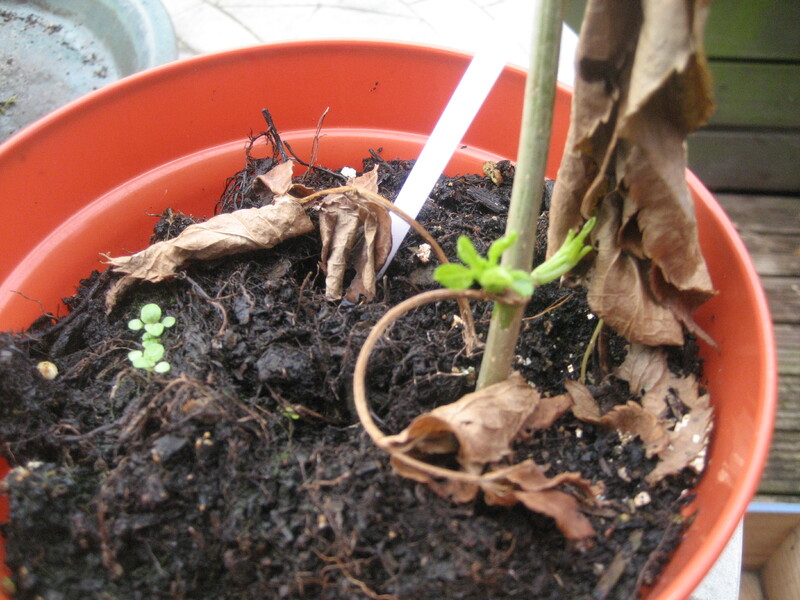 After all, this blog is about being a canny gardener and is not the same as others! Can you use frozen elderflowers? Yes, they are not as good as fresh ones, so I use a little bit more than when using fresh ones. Last year, my frozen elderflowers got freezer frost yet I was able to make cordial in the height of winter from those. Do I have to use citric acid to make the cordial? Citric acid is often used for proper mineral supplementation of food, as an acidity regulator, and as a flavor compound. Sometimes you may have difficulty finding it- many ethnic food shops keep it. Most elderflower cordial recipes use it. However, I have cut it out and increased the flower heads instead for more flavour. If you want more lemony flavour, try squeezing out the sliced lemons you used. 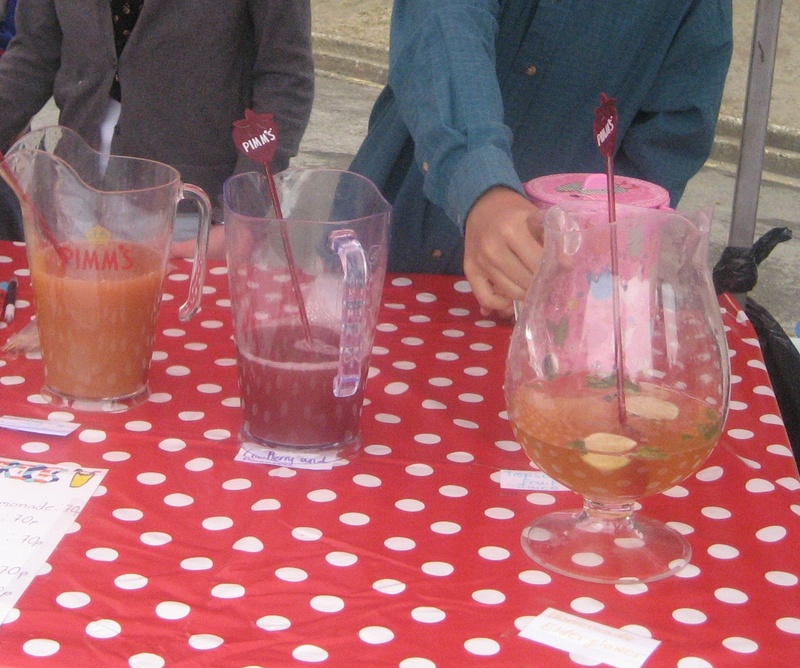 What can you do with the leftovers from the elderflower cordial making? The sliced lemons make a great treat for children. I also use them as garnish for ice-creams and drinks. The used flower heads can be put in the compost heap. Categories: elderflowers | Tags: citric acid, elderflower, Elderflower cordial, foraging, freezer frost, lemon, sugar, wild | Permalink.